At our Gaithersburg chiropractic clinic we regularly treat car accident injury victims suffering from post-accident symptoms such as whiplash, back pain, neck pain, headaches and migraines. Dr. Davis will evaluate your condition and recommend a course of treatment consisting of pain management therapy and rehabilitation. Our chiropractic care combined with other treatment methods such as Extension Traction Therapy and physical therapy will assist your body in healing from your auto accident injuries. One of the most common injuries that occurs as a result of automobile accidents is whiplash. It happens due to the kinetic forces forcibly “whipping” your neck back and forth and side to side–past its normal range of motion. Whiplash can affect the muscles and other soft tissues around your spine and in your back and neck. It’s possible that you may feel neck pain, stiffness, and/or back pain and neck pain immediately following the accident. It’s not uncommon for the symptoms of your injury to take days, weeks, or even months to appear. Either way, it’s extremely important to be evaluated and have whiplash treated immediately even if you’re not yet experiencing any neck or back pain. Often overlooked as a symptom of car accidents, headaches and migraines can also occur as a result of whiplash, head injuries or other types of trauma experienced in a crash. Headaches can result when your neck is damaged due to the stress or strain on your neck muscles. This can cause pain to radiate up your neck to your head. Any head injuries or trauma to your head has the potential to cause headaches and migraines. If you’re experiencing headaches after a car accident, you should get yourself evaluated and treated right away so that your headache symptoms do not become permanent. A herniated disc is another type of injury that can result from your involvement in a car crash. When a spinal disc is subjected to trauma, the forces involve can cause the disc to deform and in some cases, rupture. The bulge from the deformation or rupture can then put pressure on your spinal cord or the nerve roots in your neck or back. Sciatica or other types of pain, numbness, tingling sensations, or weakness can be the noticeable symptoms. 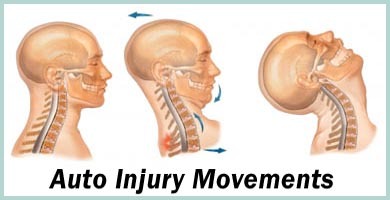 Chiropractic care is a very effective treatment for almost any motor vehicle accident injury. After your initial evaluation, our Gaithersburg chiropractor may use manual adjustments, decompression treatments, mild electrical stimulation, ultrasound, corrective exercises, or other techniques tailored to help relieve your symptoms and to speed your rehabilitation. If you’re suffering the effects of a recent or past car accident, or if you’ve been recently involved in a car accident, you’re a candidate for a chiropractic evaluation. Don’t delay and let your symptoms worsen over time!